Amy Austria, from a Good Mother in "Minsan Lang Kita Iibigin" to a Greedy Aunt in "Lorenzo's Time!" 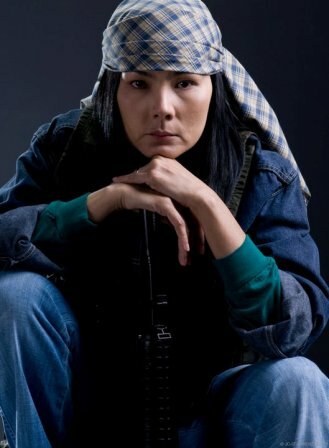 Veteran actress Ms. Amy Austria proves her versatility as an actress in portraying different roles. She can shift from being a most admired bida to the most hatred kontrabida! Currently, Any is playing the character of an antagonist Mildred Montereal, the auntie of Lorenzo Montereal (Zaijan Jaranilla) in the recently premiered hit Primetime TV series, "Lorenzo's Time." But actually, before being today's one of the most hatred characters in a TV series, Amy was well-admired in last year's hit TV series "Minsan Lang Kita Iibigin!" An Antagonist Mildred Montereal in "Lorenzo's Time"
A Kindhearted Mother and Fighter Lora Sebastiano/Ka Rosa of "Minsan Lang Kita Iibigin"
In the said teleserye, Amy played the character of the kindhearted mother Lora Sebastiano, the mother of the twins Javier and Alexander (Coco Martin). She is kind to her family but a fighter to the villains! She accidentally became part of the rebel group changing her name to Ka Rosa! Amy's character before was so loved by many viewers specially when she had fight scenes with Ms. Lorna Tolentino who was playing the 'kontrabida' in the story! Today, another way around takes place in "Lorenzo's Time." Amy is now portraying the villain Mildred who overtakes her brother's wealth and always had an evil plan to the lead characters specially to Enzo!